How long will it take you to read your entire TBR library? I found this fun tool thanks to a Share by Penguin Books via Facebook. 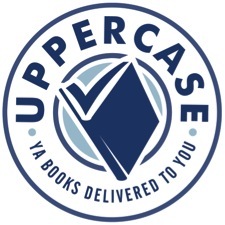 It was developed by the YA booksite, Read it Forward.com. It’s fast and simple. You simply plug in how many TBR books you have, the number of books you read last year, and your age. Within seconds you get a result like the one above. If you had asked me how many books I have waiting to be read, I would have put the number closer to 60. I decided to counted what I really have, or at least what I could find. I am sure if I had looked harder, like under a throw, or lifted my First Folio (god, that’s a big book!) surely I would have found a few more. But 107 it is. On reflection, 107 is not bad. I have a recurring nightmare that I have a hidden room in my house that I don’t let anyone enter. I don’t let anyone see it because it’s filled with old rotting books, so much so that many are trapped in the walls. The nightmare always starts when I decide to move and either the real estate agent or my mom, wants to see what’s behind the door. It is a little jarring and intimidating to think it will take me five years just to read the books I have in my house. This doesn’t include the ones loaded up on my iPad, or the few I have on my list at the library. Not that I want to ever be done reading, but I really do need to finish the ones at home, because damn my addiction, I keep bringing more in! I’m averaging about 20 a year. Not bad considering that while in school, I was lucky to finish 10. Now that I am done, I thought I would have made a bigger dent in my pile by now. But the truth is, I have slowed down yet again. I am writing my own book, so the ones I do read tend to be for research. These take time, as I am highlighting passages and making notes. Should I be reading more for pleasure and knowledge? Absolutely, and seeing a list like this, makes it all that much more urgent that I step up my game. Here is what I’d like you to do. Use the tool to see what your numbers are, then let us know what you think. Do they convince you to read more, or cull your TBR pile? Let us know how you tackle your TBRs. Do they intimidate you, or are you unmoved by the volume? 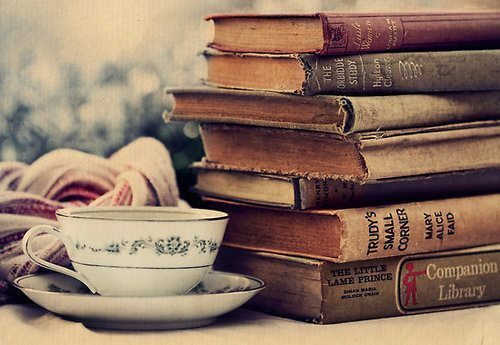 Perhaps you are unconcerned by the amount of reads, and will gladly take as much time as necessary to read them. If so, I am envious, as I secretly fear my 107 will grow, thus making my goal unachievable and my nightmare a reality. Maybe I should be a clause in my will that states all unread books must be buried with me. Maybe then I will have time to read them all. The Little Lame Prince?! I’ve never found anybody else who knew about that book! one of my favorites! Thanks for stopping by. Not sure where you are seeing the Little Lame Prince, but I do love the Little Prince. Lame? Humm..might want to add that to my list. Damn it… there we go again! I think I first noticed my “TBR gap” in high school, when my entire library fit on three shelves. Probably the two biggest sources of TBRs for a long time were classes, and attempts to read through “great literature” without giving it any priority. As a result, I have a whole lot of Signet paperbacks with cover prices under $3 (sometimes under $1), some of which I still haven’t gotten to. Hmm, I will have to try this. OK, after a quick perusal of my shelves and bedside drawers, and discounting non-fiction, reference and fiction I’m intending to re-read for review, I make it roughly 119 fiction books. I shall have to go and do the other computations, Sari, now that you’ve shamed me as to the depths of my acquisitiveness!